Swift Heavy Ion (SHI) beam irradiation has been used as an experimental technique to modify the material properties through the interaction of the ion beam with the target material. In this work, the properties of the pristine and 200 MeV Ag15+ ion beam irradiated lithium (3 wt%) doped WO3 (tungsten trioxide) thin films are reported. These thin films were spray deposited onto ITO coated glass substrates at 400 °C with thickness around 55 nm and irradiated with the 200 MeV Ag15+ ion beam at a fluence of 5 × 1012 ions/cm2. The XRD pattern of pristine film confirmed textured growth along the (211) plane with tetragonal phase, while the irradiated film was partially amorphous. Raman modes at higher wavenumbers 708 cm−1 and 806 cm−1 belong to W–O stretching modes, whereas modes at lower wavenumbers 133 cm−1 belong to lattice mode and 265 cm−1 are associated with W–O bending modes for pristine film. Upon irradiation, all the Raman modes vanished due to irradiation induced amorphization. The optical transparency of the film upon irradiation decreased significantly, and band gaps showed a red shift. The atomic force microscopy (AFM) images of pristine film surfaces were homogeneous, smooth and free from holes with small grains, whereas ion irradiated films exhibited isolated flattened particles of varying size on the surface. Room temperature transport properties were also measured using Hall effect for both the pristine and irradiated films. 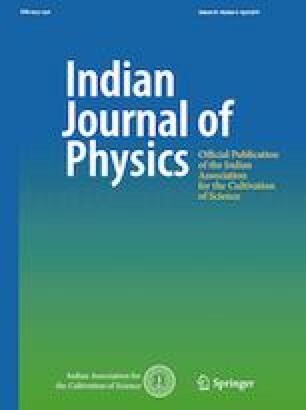 The authors thank the Inter University Accelerator Centre (IUAC), New Delhi, for providing access to the irradiation facility.